China must free Guo Yushan and He Zhengjun and restore confidence in their country. This article, by Patricia Adams, first appeared in the National Post on July 15, 2015. It was reprinted by the Huffington Post on July 16. China’s public prosecutor is expected to decide any day now whether or not to indict and try my colleagues from the Beijing-based think tank, the Transition Institute (TI). Guo Yushan, TI’s founder, and He Zhengjun, its manager, were incarcerated last fall by Beijing’s public security police, which recommended that they be charged with “operating an illegal business.” They are accused of having written and published books and articles, and of having given lectures at universities, on such subjects as taxes, law reform and environmental protection, with funding that included four foreign sources. My organization, Toronto-based Probe International, is one of the four (the other three are two German foundations and the U.S. embassy in Beijing). We have indeed collaborated with the Transition Institute for nearly a decade on the shared conviction that the rule of law is the foundation of a sound economy and healthy environment. When Transition Institute researchers visited us in Toronto, they wanted to see the Ontario Energy Board in action and to meet with the staff at the Information and Privacy Commissioner of Ontario. And they gave lectures at the University of Toronto Faculty of Law and Munk School of Global Affairs. While some might consider their subjects academic, even arcane and dull, TI sees them as the bricks and mortar of a just society and a thriving economy. On that score, some of their countrymen seem to agree. China’s “netizens” — citizens on the Internet — have rallied to the defence of the Transition Institute and its staff, knowing that their policy prescriptions and legal reforms will treat many of China’s ills, perhaps none as important as China’s dangerously polluted environment. China’s water is so polluted that 60 per cent of the nation’s groundwater is undrinkable; its air is so dirty that half-a-million people die each year from breathing the chemical soup that has been dubbed an “airpocalypse.” The Chinese government is not oblivious to the problem: environmental threats have become the number one cause of public uprisings. The government has responded by declaring “war on pollution,” but with little improvement in air and water quality. This lack of progress is unsurprising. In the absence of a regulatory regime that is credible and enforceable, the government is largely helpless in stopping polluters, resorting instead to ad hoc measures. 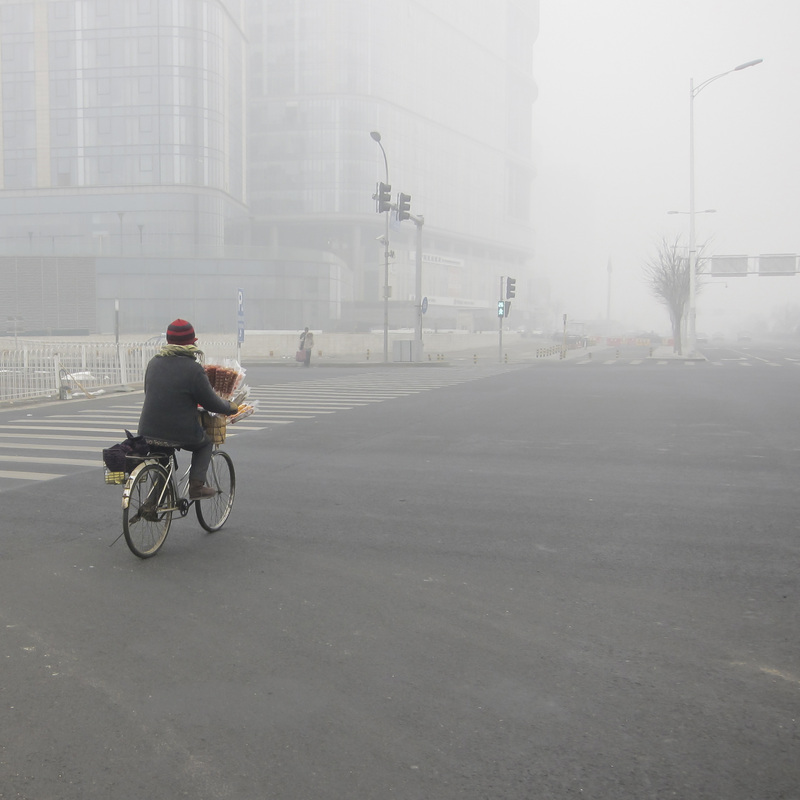 To be sure, the government is doing what it can with the top-down tools at its disposal: it is shuttering coal-fired plants in the heavily polluted Beijing area; and in 2014, it arrested 8,500 people for environmental crimes. But the effectiveness of these ad hoc measures is limited, because they don’t harness the goodwill of the populace, to make it in everyone’s interest to follow the laws. The tough measures may “shake the mountain to scare the tiger” but China needs to develop what the Chinese Academy of Social Sciences calls “soft technologies,” or institutions, both legal and governmental, that enjoy the confidence of the Chinese people. Property rights, which empower each citizen to protect their own space, are one such example. Equal justice for all is another. TI’s goal is the creation of institutions that enshrine rights that promote bottom-up enforcement and voluntary compliance by all members of society, making arrests for environmental crimes the exception rather than the rule. Guo Yushan, He Zhengjun and their colleagues at the Transition Institute were exploring such institutions before they were jailed and their think tank shut down. They advocated neither radical change nor revolution, but the slow and steady transition of their country to one governed by the rule of law and constitutional democracy. They merely strove to harness the good values and ingenuity of China’s citizens, promoting economic growth and dignity for all. Guo Yushan and He Zhengjun are just two of 1.4 billion Chinese citizens, but their work represented all that is hopeful and optimistic about China. Rather than jailing them, the government should free them, tap their confidence in their country and their dedication to their fellow citizen, thaw the chill that has accompanied their incarceration and help the country thrive. Patricia – How about making a similar statement about Mohammed Morsi who was elected President of Egypt, then ousted from power via a coup, and now faces trumped up charges against him with his execution pending – unless we all express outrage by such action. Surely, Probe is must be opposed to the numerous beheading that are happening to people who only are protesting and expressing an opinion about the oppression happening in that country! Why are you not expressing views that are critical of human rights violations in such countries – and I would add Saudi Arabia in that category as well.